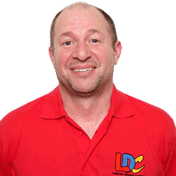 Mick is a kind, patient and fun driving instructor who goes the extra mile for his students. After a couple of rocky lessons and thanks to Mick's patience I actually started to enjoy my lessons rather than dread them! I found the LDC workbook, DVD and online portal really useful too as they meant that I could do extra learning alongside my lessons and update Mick on my progress. I now feel confident when driving and I passed my test with only two minors! I couldn't have asked for a better instructor. Thanks again Mick, see you soon for Pass Plus! 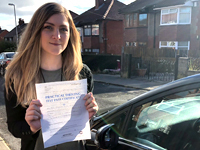 I'm a driving instructor in Dewsbury, Ossett, Wakefield, Huddersfield, Brighouse, Cleckheaton, Liversedge, Mirfield, Horbury, Birkenshaw, Morley, Birstall, Gildersome, Heckmondwike and surrounding areas.